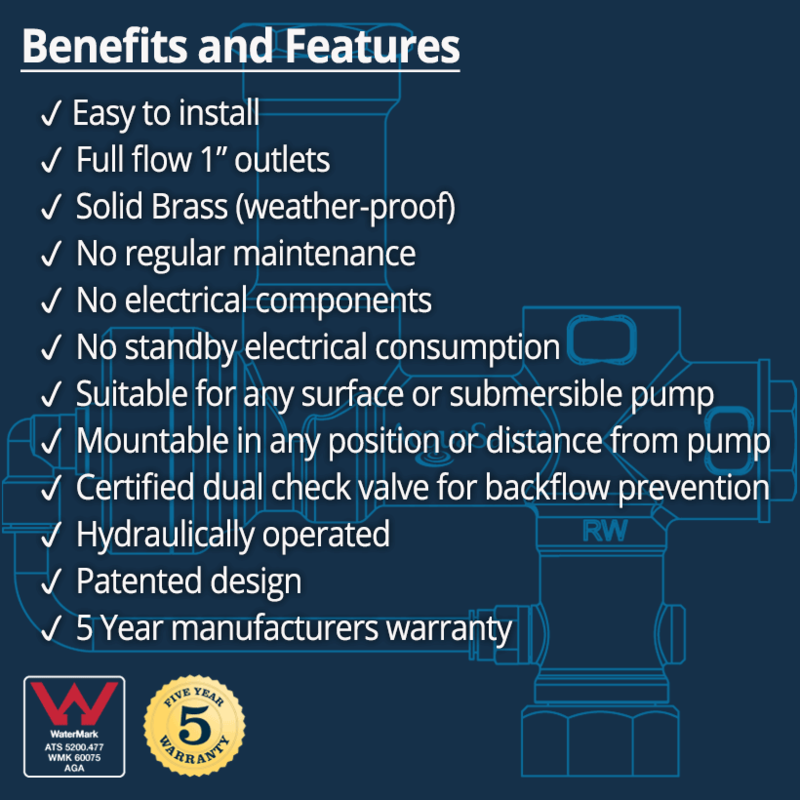 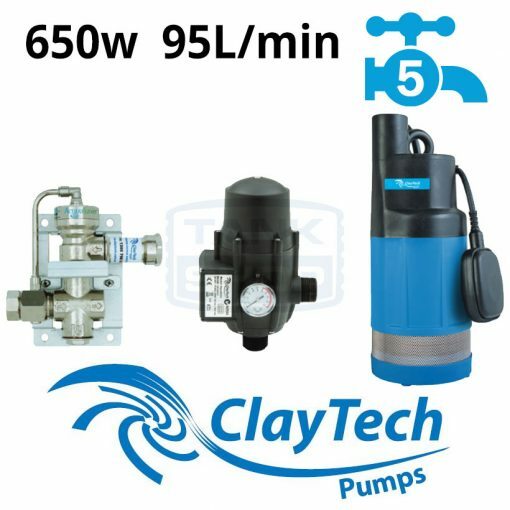 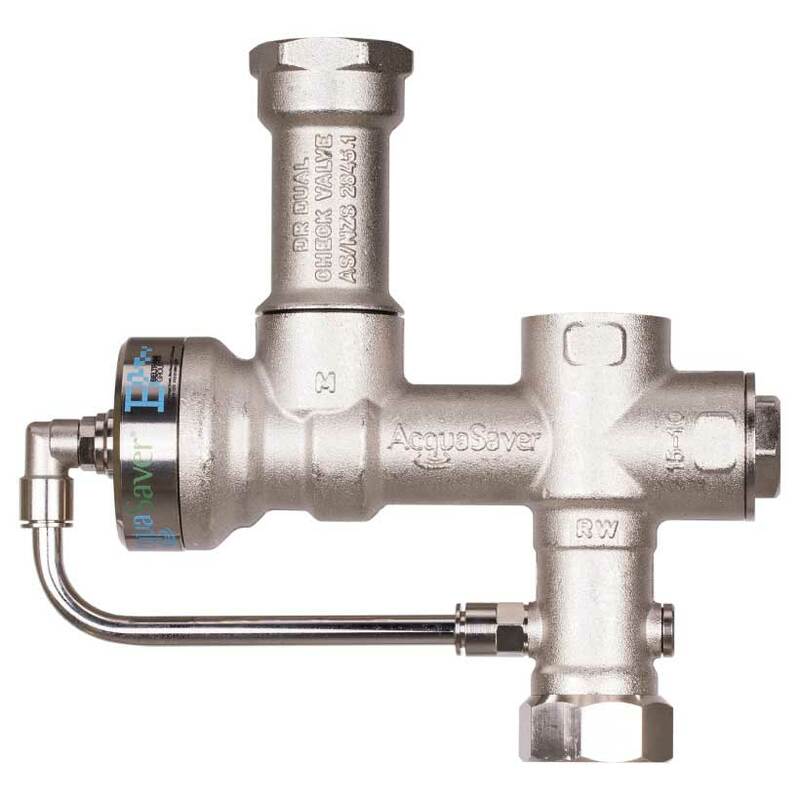 ClayTech’s CMS5A provides the convenience of automatic selection between your tank water and mains water supply with backflow prevention. 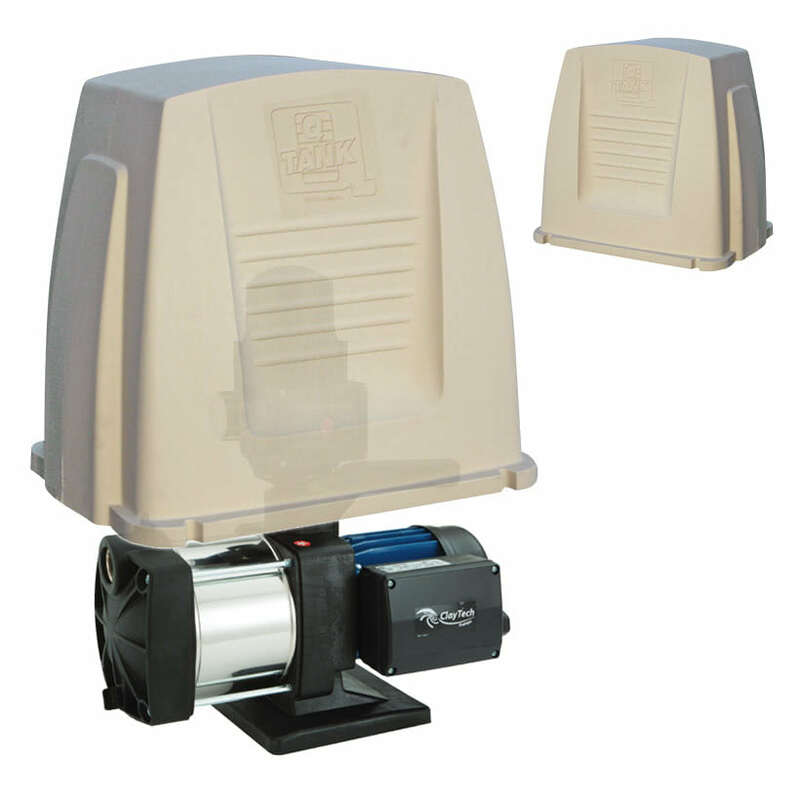 The ClayTech Management System (CMS) will ensure water is drawn from your tank when available. 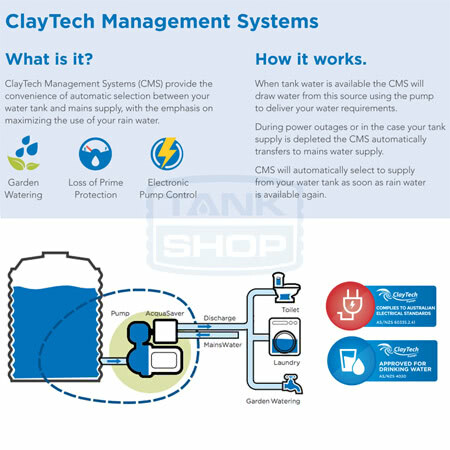 It senses this entirely via hydrolics, such that when your tank is empty or during power outages it will automatically transfer to your mains water supply. Suitable for supplying water from tank to domestic toilets, washing machines, external garden taps, fire protection systems and complete househoulds. 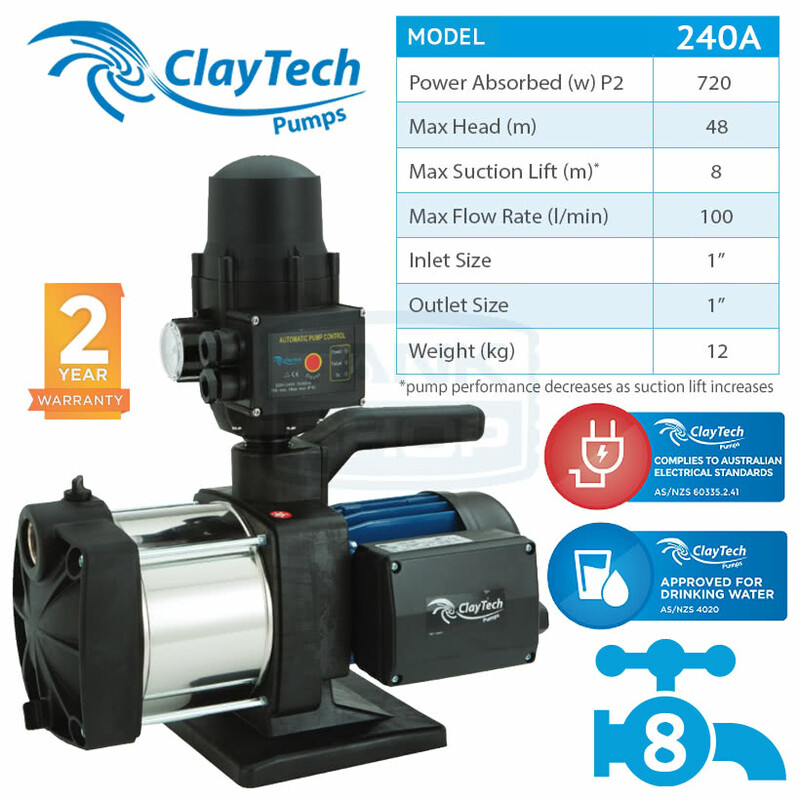 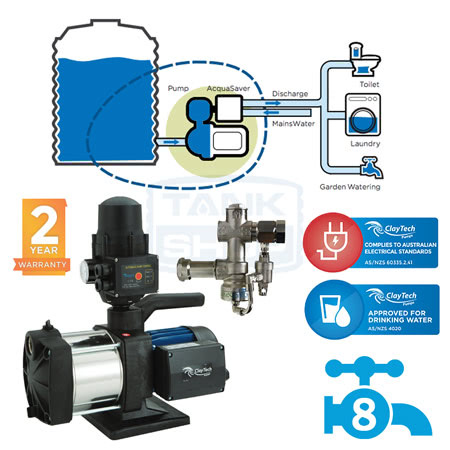 This system is powered by an Inox 240A multi-stage pump which is well-known for its quiet, reliable service in the Australian market. 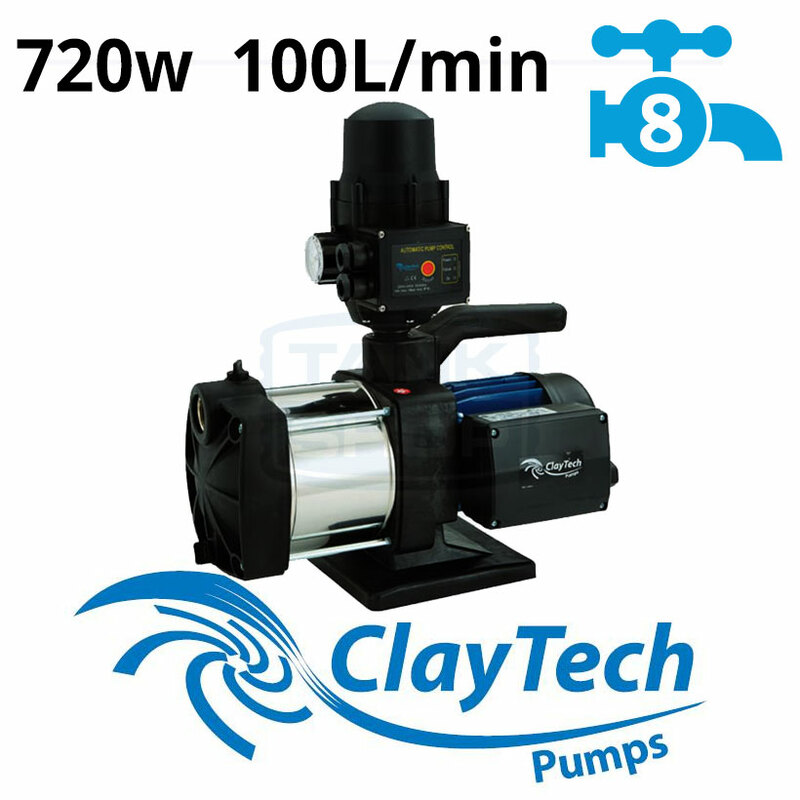 Designed for a larger Australian home, it is more energy efficient than a jet pump but is self-priming to a depth of 4m. 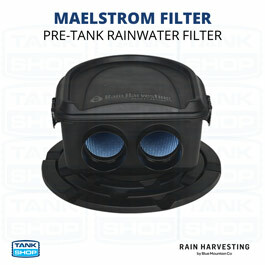 This makes it ideal for above and below ground rainwater tanks. 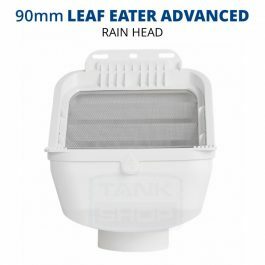 It has automatic operation with loss of prime protection and 24 hour restart to see whether there is water in the rainwater tank.